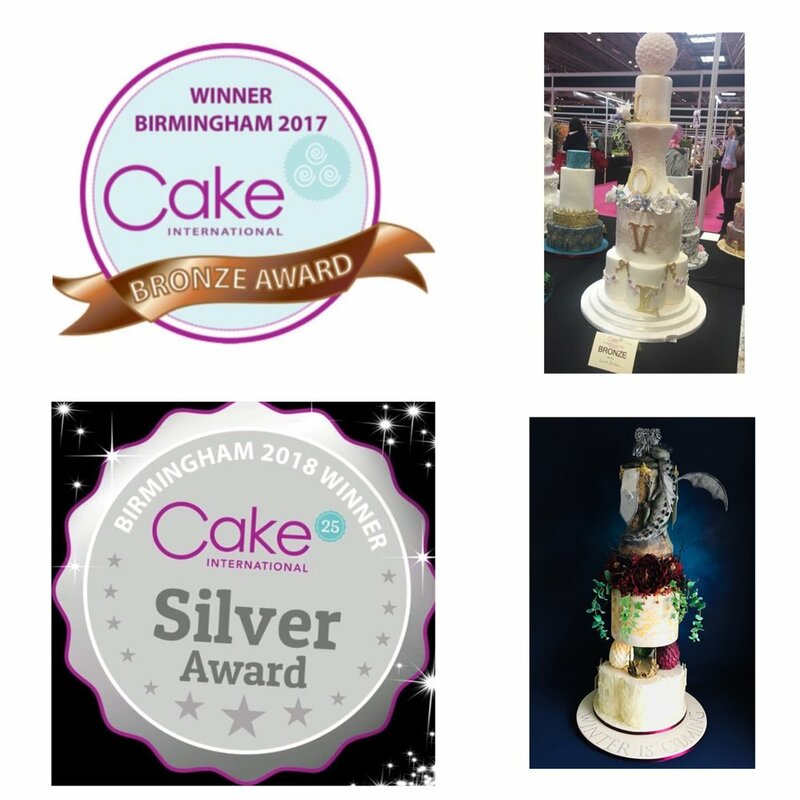 Award Winning producer of home made cakes and cupcakes using only the finest ingredients. Its not just about the look and design of the cake - the cake itself has to taste delicious as well. Only free range eggs are used in my baking and where possible local ingredients are sourced. Cakes can be designed to order and delivered locally. Wedding cakes, celebration cakes, cupcakes and cupcake bouquets can be tailored to any occasion. I pride myself on going the extra mile with the little details to make the final product extra special, resulting in customers returning for additional cake orders year after year. To keep up to date with changing techniques I am continually looking for ways to improve my skills and regularly attend meetings with the British Sugarcraft Guild. I have entered competitions to help enhance my creativeness. I have attended workshops with other companies to learn new techniques so that these can incorporate them into your bespoke designs.